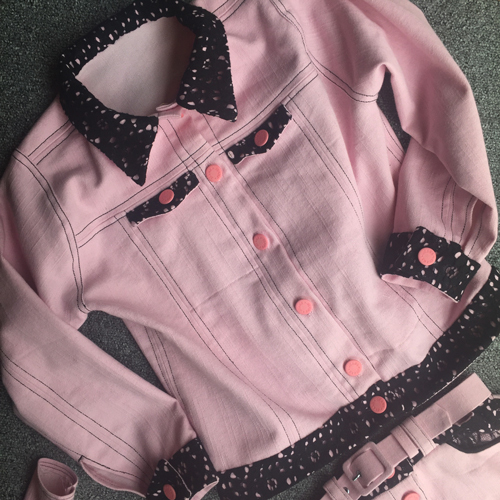 Jane made this Denim jacket and matching skirt with stretch pink denim for Kitcat. It is trimmed in black lace (because Kitcat is 9 going on 19). 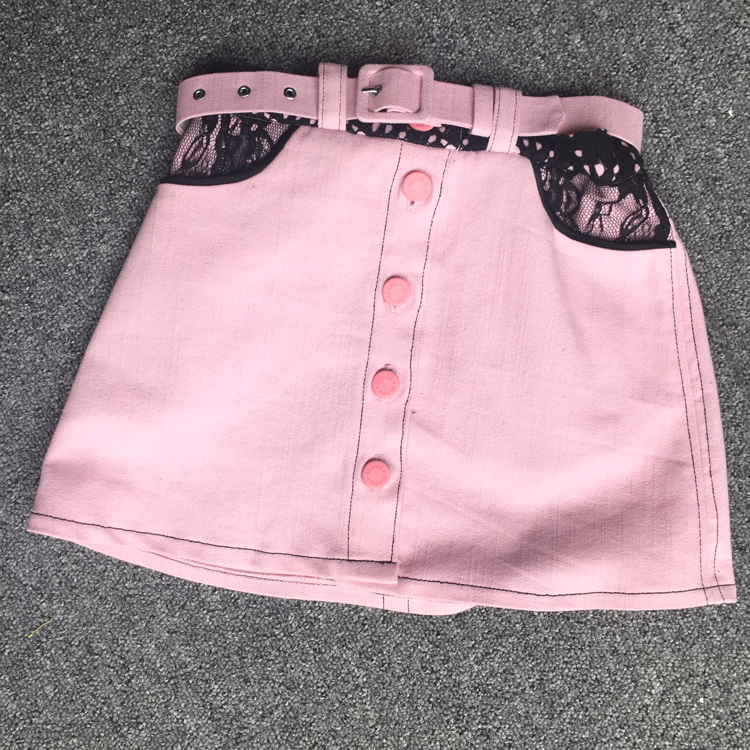 The skirt is a great little pattern from Burda (9480) – the back was made slightly wider so elastic could be put in. The Jacket was an utter nightmare – BEWARE OF INDIE PATTERNS DOWNLOADED FROM THE INTERNET! She eventually got there though! And Kitcat is very pleased. Topstitched with two poly sew all threads run through the same eye of the needle (a trick that is far easier and reliable than using topstitching thread, we have found). The coloured jeans buttons are riveted in.